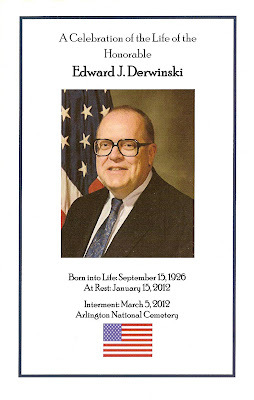 Aleksandra's Note: On Monday, March 5, 2012, the Honorable Edward J. Derwinski, the first Secretary of Veterans Affairs, was laid to rest at Arlington National Cemetery. 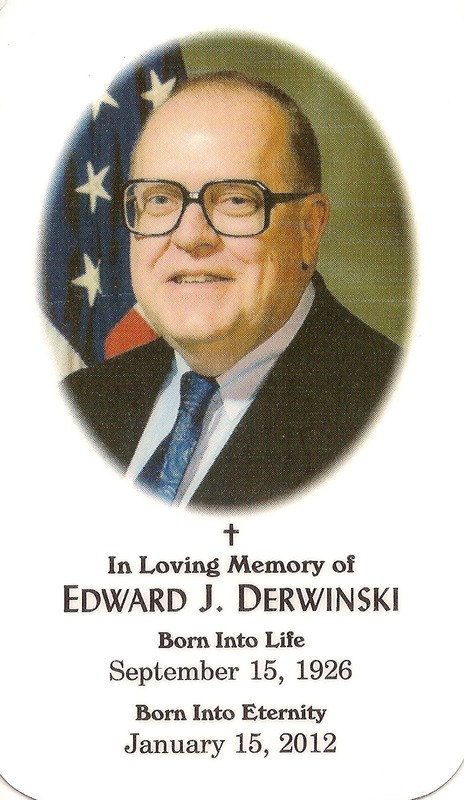 For Serbian patriots who honor the legacy of General Draza Mihailovich, Edward Derwinski should hold a very special place in their hearts. 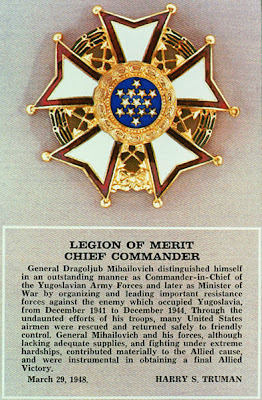 It was he who in 1968 successfully declassified the prestigious "Legion of Merit Medal" that President Harry Truman had awarded to General Mihailovich in 1948, two years after Mihailovich was executed by the Yugoslav Communists in Belgrade. The posthumous award had been instantly "classified" and stayed that way for 20 years on the premise that the U.S. was unwilling to "offend" Marshal Tito who came to power immediately after the Second World War in Yugoslavia. It has always been my belief, and always will be, that the real reason the Medal was kept a "secret" was because America had made a huge mistake in abandoning General Mihailovich at the behest of Churchill, their British Ally, and the contradiction between abandoning Mihailovich and awarding him the highest honor the U.S. gives to a Foreign commander would provoke uncomfortable questions. 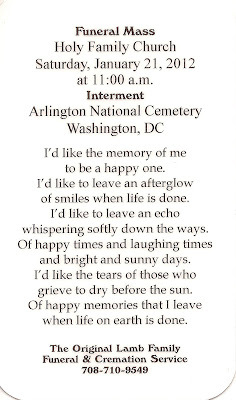 When I learned that Mr. David Vuich was going to attend the funeral at Arlington, I was so pleased! My reaction was: "he's the perfect representative of the Serbian community to be attending the service." I did not consider that he might be the only member of the Serbian community who attended. 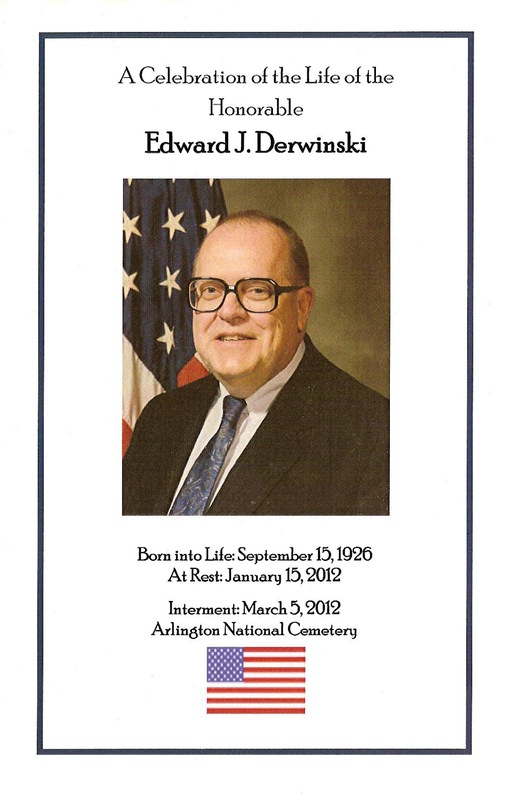 Special thanks to David and his wife Ginger for paying honor to Edward Derwinski and for sharing the experience with me. 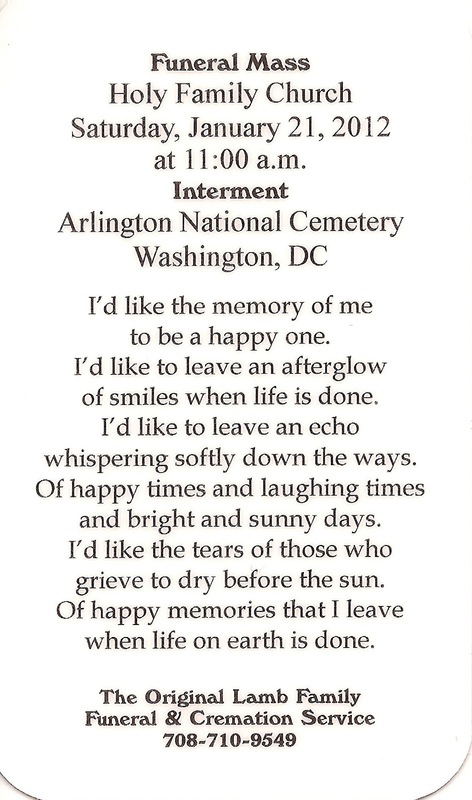 "Services conducted at the Arlington Memorial Chapel are usually limited to 1/2 hour due to the large number of vets that are being interred on a daily basis. 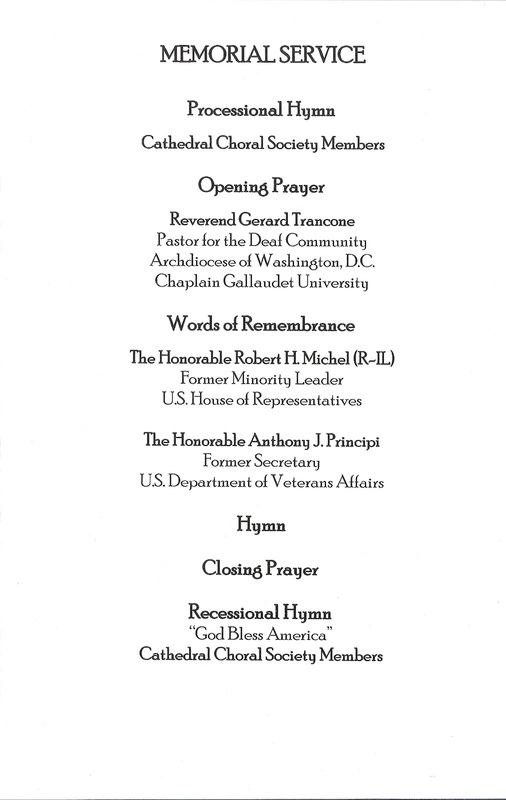 This event was extended as a courtesy to Secretary Derwinski being the first Secretary of Veterans Affairs, and it was attended by former members of Congress and cabinet members. We felt honored that many recognized my wife Ginger and I as a result of our years on Capitol Hill. "The eulogy was presented by former Minority Leader of the U.S. House of Representatives Robert H. Michel, (R-IL) followed by former Secretary of Veterans Affairs the Honorable Anthony J. Principi. "It appears that I was the only Serb in attendance. 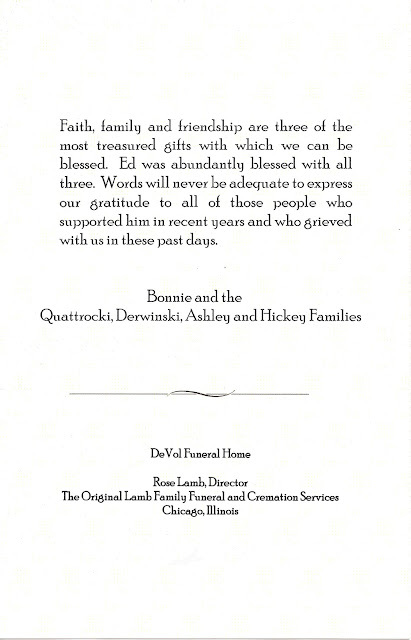 I conveyed sincere condolences to Ed's wife Bonnie and his son and thanked them on behalf of the American Serbian Community and the families of the 500 U.S. Airmen rescued by Mihailovich and his forces in 1944 for Congressman Derwinski's numerous attempts to right a historical wrong regarding the Serbs in crisis during WWII in general, and General Mihailovich in particular. "Due to Edward Derwinski's untiring commitment to our many causes and concerns, I would assume a Pomen (Serbian Orthodox memorial service) would be in order."